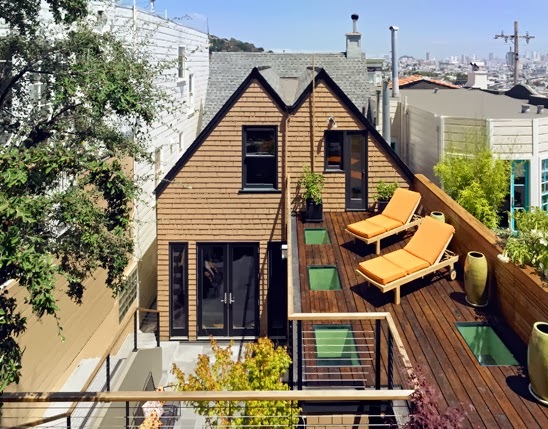 This small Victorian home is located on a steep site in San Francisco area. 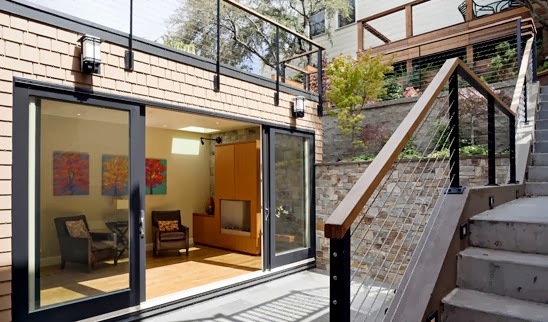 It is designed to have large gathering and usable exterior spaces. 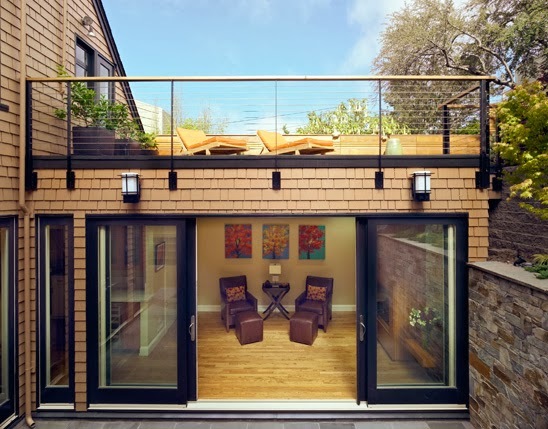 Thanks to that it’s very well connected to outdoors with a connected to main living areas courtyard and an awesome roof deck. 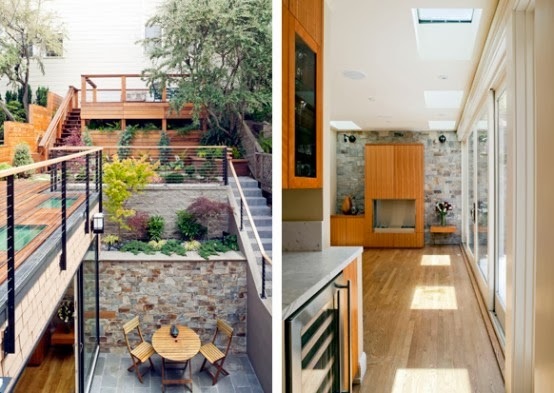 These both exterior areas are accessible from all house levels and from each other. They are also quite private and protected from neighbor looks. 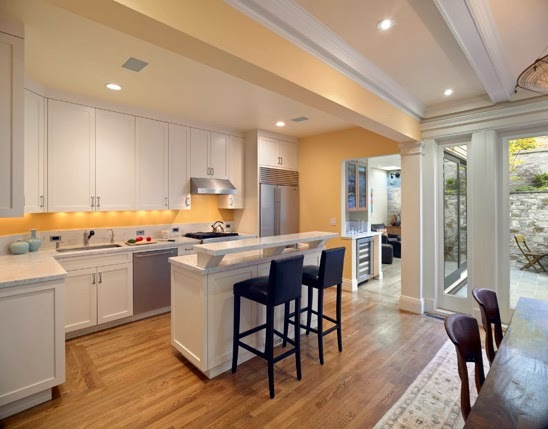 The kitchen and the dining room are also combined to be better place for gatherings.